I have the most restless night sleep. I toss and turn. Meanwhile, Ed has no trouble at all. His regular deep breathing is somewhat calming for me. I don’t know how he does it, but nothing ever gets to him. He is so calm, but I get so worried about everything. The last rest day in Paris. It is cold this morning. Very very cold. When Ed comes in from his run, his hands are like two blocks of ice. He tells the clerk at the front desk there is “un froid royal extraordinaire” (a cold royal and extraordinary) and she laughs really hard. The French like to put the word “royal” to describe anything extra large, big or huge. Feb 20, 2018 – Tuesday. Another nice and beautiful day in Paris. We are hoping by now that we would be on Parisian time but no such luck. Ed sill wakes up pretty late, staying still on Florida time. Today Ed decides not to run by himself but he wants to get me up and take a long walk with him to the banks of the Seine. Packing for this trip has been challenging. We like to fly American Airlines out of Tampa, Florida, our home-based airport. 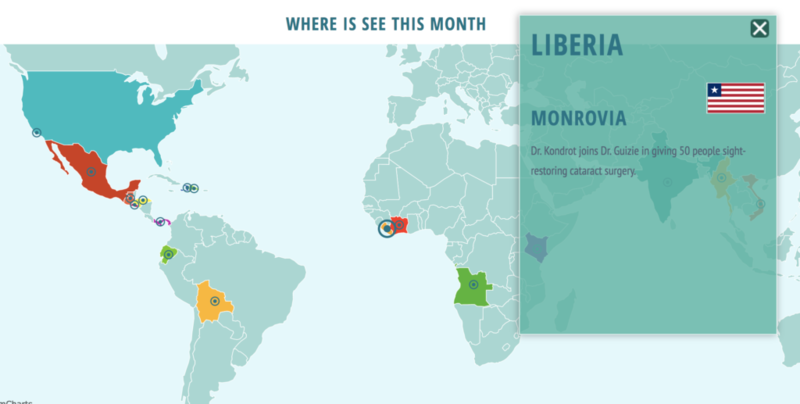 However, American Airlines does not fly into Liberia. We have to get ourselves to Paris—nineteen hours of travel time by itself—stay over in Paris, then catch another flight from Paris to Liberia—another twelve hours of travel time. If we were to depart on a Saturday, we would arrive in Liberia on a Tuesday. 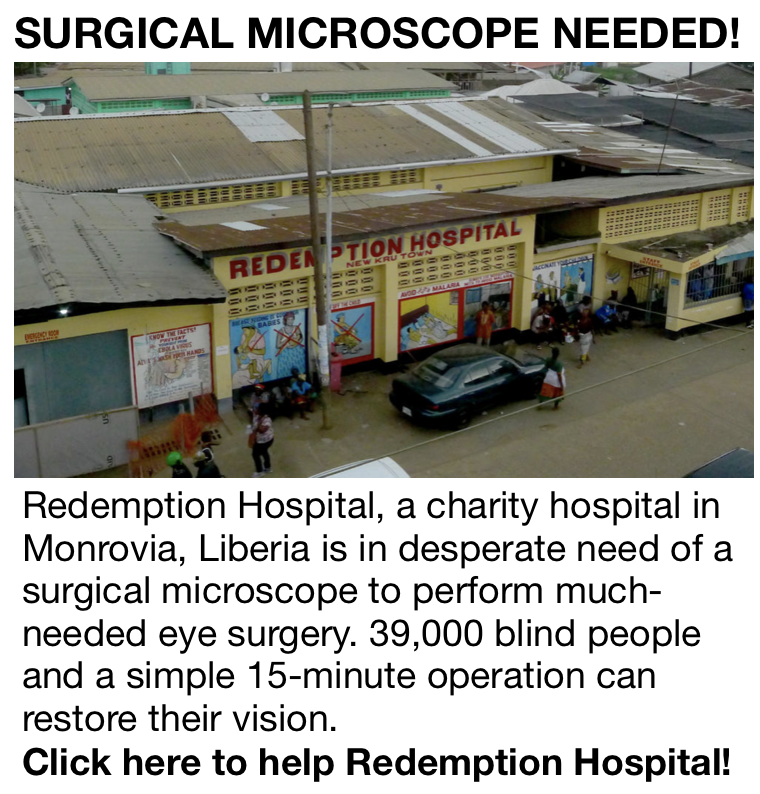 There are over 30,000 blind in Liberia with little or no eye care. We will be treating patients from February 22nd to March 9th. Give us your email address below and we will keep you updated on all new posts! 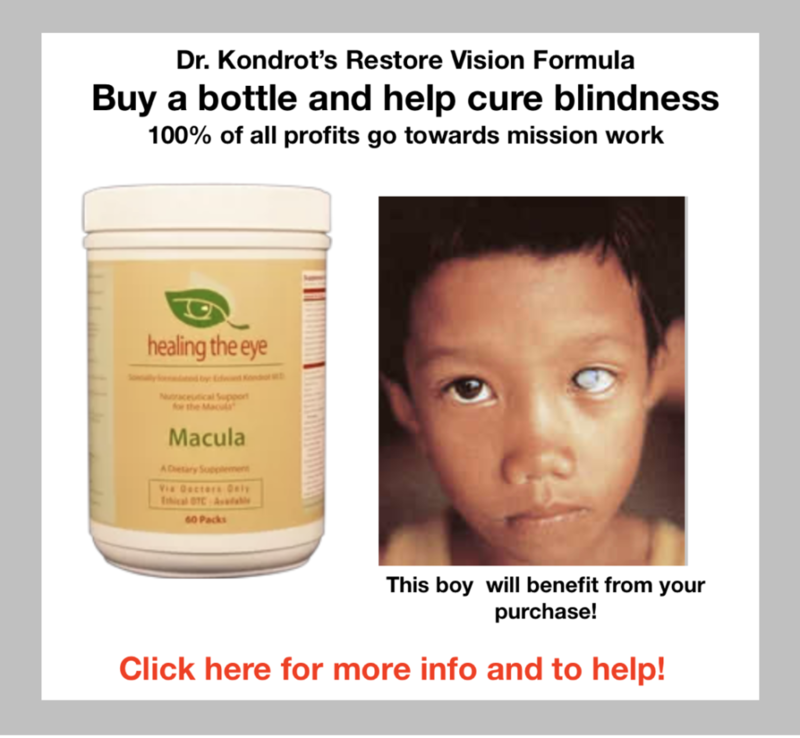 This video illustrates the need for surgeons to travel to underserved areas in the world that are overwhelmed with blindness and no eye care! 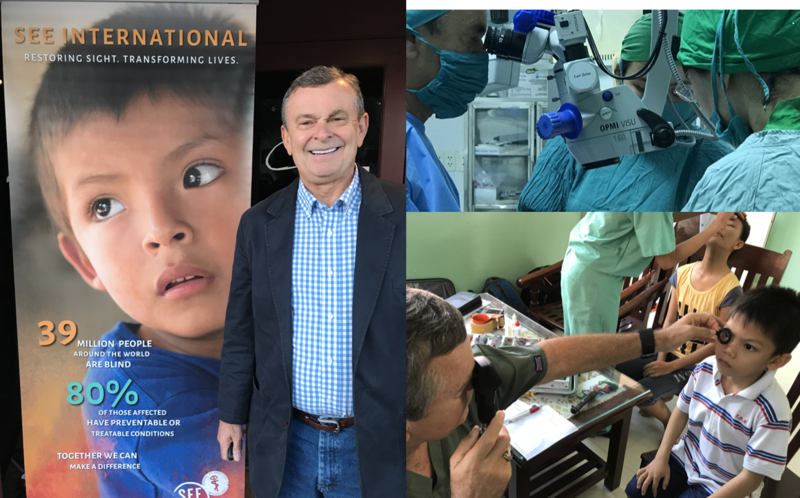 SEE International requires a certification on the Manual Small Incision Cataract Procedure (MSCIS). This procedure enables surgeons to do a high volume of cataract surgery with minimal equipment.